When it comes to all the different expenses associated with having a child, few seem to strike fear into the hearts of parents as much as saving for college. You have roughly 18 years to do it, which is plenty of time, but that also equals a lot of money to be setting aside. Therefore, before you start, have a plan – one that ensures you won’t make any costly mistakes. 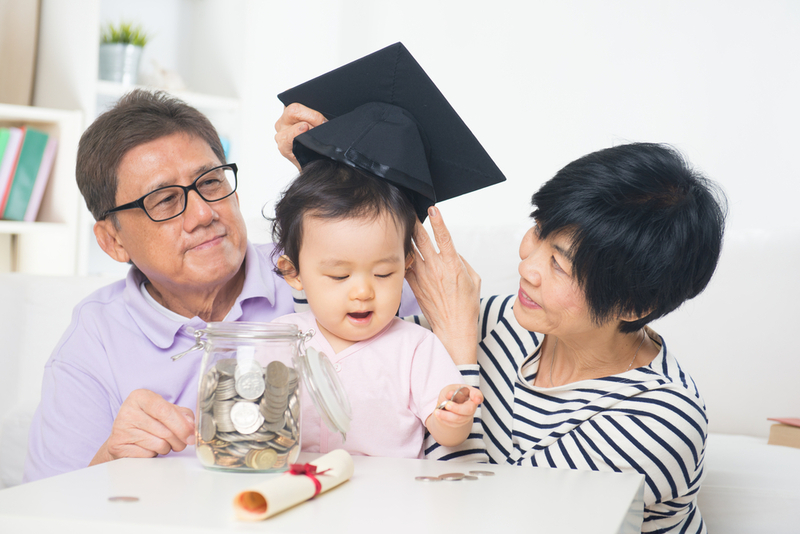 Saving for college is a rite of passage every parent will go through. Unfortunately, it’s going to be far more difficult for some because of these three very avoidable mistakes. There’s no denying that having a baby costs a lot of money. So it’s easy to understand why a lot of parents don’t exactly leap at the opportunity to spend even more when their little bundle of joy is born. They have plenty of other, more pressing concerns during this time than something that won’t become an issue again for 18 years. Nonetheless, the earlier you begin, the more than money is going to be worth by the time it’s needed. This is why you should begin budgeting for college the moment you find out your child is on the way. There are all kinds of reasons it makes a lot of sense to contribute to a 401(k). You should start doing so ASAP and never stop until you retire. However, some parents eventually come to think of their contributions as saving for college and that’s a big mistake. The problem is that many 401(k) plans will disqualify the contributor from matching funds for using it this way. That is a serious penalty that will end up costing thousands of dollars. Even worse, if you decide to borrow against your 401(k) like this, you may be have to pay it back within 60 days if you are laid off or leave for some other reason then it would also be taxable and you could incur a potential 10% penalty tax if under the age of 59.5. The outstanding loan balance would count as income if it isn’t repaid within that 60-day period. That, in turn, could impact your Expected Family Contribution, a metric schools use to determine how much financial aid your child qualifies for, thus creating a much bigger problem. A lot of parents use tax-protected 529 plans to help save money for college. Sadly, after all their hard work, some parents don’t utilize these savings properly. The IRS prohibits the use of two tax benefits for education on the same educational cost. So, for example, you can’t use the 529 plan and the American Opportunity Credit – which can be good for as much as $2,500 – on the same expense. Plan how you’ll use these options so they don’t overlap or land you in trouble. Use the American Opportunity Credit for qualified expenses like textbooks and tuition. Then put that 529 plan to work. Sure, college can be expensive, but if you plan ahead and have the right guidance, saving for it doesn’t need to be such a challenge. Whether you haven’t set aside a penny yet or your child is almost ready to leave home, contact Mooney Lyons and we’ll make the most of your budget. Prior to investing in a 529 Plan investors should consider whether the investor’s or designated beneficiary’s home state offers any state tax or other benefits that are only available for investments in such state’s qualified tuition program. Withdrawals used for qualified expenses are federally tax free. Tax treatments at the state level may vary. Please consult with your tax advisor before investing.